TLCBET Asian Handicap Betting differs slightly from handicap betting at other online bookmakers. TLCBET is tailored toward live, or ‘in-play’ betting, although there’s still plenty of flexibility for punters who want to mix up their betting. Players can try their luck Single and Double Asian Handicap bets on matches across some of the most popular European football leagues and championships, with 3-way betting also available for even more ways of winning. Asian Handicaps usually carry shorter odds, but TLCBET makes matches more interesting with live betting and higher returns for more committed punters. Easy to navigate, this online bookmakers has an incredibly simple betting portal with odds and handicaps clearly displayed in a choice of British, American or European formats. What is the selection of Asian Handicap bets at TLCBET? TLCBET has an impressive selection of Asian Handicap bets available, with regularly updated in-play odds for punters looking for even more ways to win big. 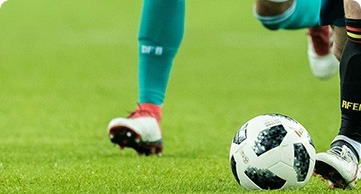 This online bookmaker has bets available across the English Premier League, Championship and Capital One Cup, along with the Europa League and European Championship. Those looking for matches further afield can take advantage of plenty of available bets on matches from the Spanish, Italian and French Premierships. All key match fixtures are covered, with regular updates of odds and betting offers. Ideal for committed punters looking to follow a league through from start to finish, and perfect for players looking to turn their betting to new markets. The German and Italian Premierships are an ideal destination for punters looking to wager on higher goal handicaps, with a higher-scoring trend across the top-performing teams of both leagues. What are the Asian Handicap betting odds at TLCBET? Depending on which type of Asian Handicap bet you’re wagering on, odds can vary wildly. Asian Handicaps are designed to effectively put teams on more of even kilter, so in principal mean shorter odds and lower rates of return. However, there’s plenty of ways to make this method of betting worth your time. When betting on shorter odds and fewer goal handicaps, odds are usually in the region of 1.80. In this case, punters receive their entire stake, plus 80% profit back in the case of a win (or £180 back from a £100 stake). Live betting gives players more flexibility when wagering, with longer odds and higher returns. Split Asian Handicaps also carry their own odds (for each half of the bet), meaning players will have to work out multiple odds calculations to predict maximum winnings. Does TLCBET provide Asian Handicap bets at Live Betting? Asian Handicaps can be a safer way to bet, levelling the playing field against mismatched teams. However, for much tighter contests where there is little difference in team rankings and performance, live betting can provide a much more exciting experience for punters, with much better returns on wagers. TLCBET offers an impressive selection of in-play bets, with an easy to navigate betting portal that’s tailored toward live betting. Punters need only select their preferred League at the left hand side of the screen for a complete selection of available in-play bets. Each live betting option will provide punters with up-to-date match statistics and current goal totals, along with the latest odds and handicaps. TLCBET offers all betting odds and handicaps in decimal form, commonplace for most European online bookmakers. Whole and quarter ball handicaps are easy to identify and use to calculate bets, (0.5, 1.5, 1.75 etc.) or, in the case of a negative handicap, the same decimal odds apply, only with a minus prefix (ie. -0.5, -1, 1.25). Because of its international market, TLCBET also allows punters to switch to fractional or American odds. This can be particularly useful when betting on foreign leagues and championship games. The betting odds portal offers an easy layout for navigation, with a slick high-contrast design. To get a list of bets available, including all in-play live betting options, simply select football at the left of the page and you’ll be given an expandable list of all matches you can wager on. Are there any special rules for betting with Asian Handicap at TLCBET? There are no specific rules at TLCBET when playing Asian Handicaps, although players should bear in mind the considerations of in-play betting when calculating returns. Live betting means the final scoreline is calculated from the time the bet is placed, up until final whistle. Goals scored before the bet is placed are not counted. It’s incredibly simple to get started at TLCBET and anyone who’s familiar with Asian Handicaps will have no trouble getting to grips with the odds displayed. In the case of multiple handicaps, with a negative or advantage applied to each team respectively, things can get a little more complicated. There’s also split handicaps to consider, which provide players with multiple potential winning score lines on a single punt, effectively splitting a bet into two. In this instance, a bet with handicaps might look something like this: Team A -1.0, -1.5 vs Team B. Here, half your initial stake goes on Team A to win with a -1.0 handicap, whilst the remainder goes to on Team to win with a -1.5 handicap. Whether you’re playing classic handicaps, or wagering on in-play odds, you’ll simply work out the final score from the time you place the bet, up until the final minute of play. In this case, if Team A win by a single goal, players will lose half their initial stake, with the other half returned to them. If Team A wins by two or more goals, players receive their stake back, along with a full win.